Gujarat Lok sabha elections will be held on 23rd April. Congress as well as BJP releases all 26 seats in Gujarat. From tomorrow onwards BJP and Congress will starts campaign for Lok Sabha Polls. 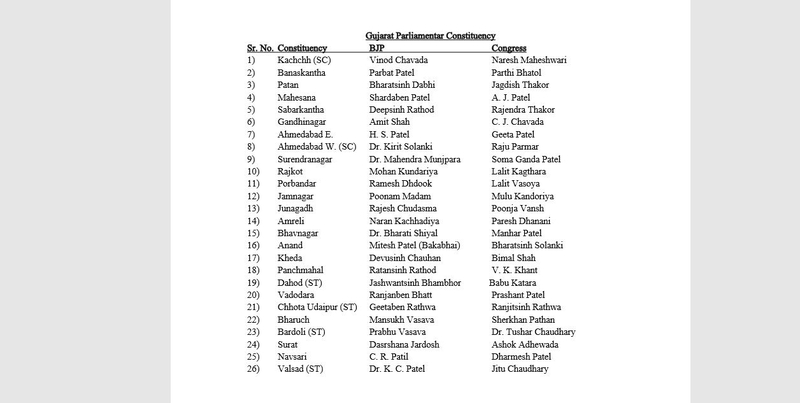 The Congress has fielded MLA C J Chavda against BJP president Amit Shah from Gandhinagar Lok Sabha seat and declared nine other candidates in Gujarat.